Multi-Protein Chocolate Flavor is suggested to help reduce or eliminate cravings and suppress Appetite especially during the Detoxification Period. It is important to consume a High Protein Breakfast Replacement Meal as a routine maintenance herbal regimen. Multi-Protein Chocolate Flavor is suggested to help reduce or eliminate cravings and suppress Appetite especially during the Detoxification Period. It is important to consume a High Protein Breakfast Replacement Meal as a routine maintenance with a herbal regimen. HERBAL SUPPLEMENTS DO NOT REPLACE PRESCRIBED MEDICATION. No Medical claims exist for this product. 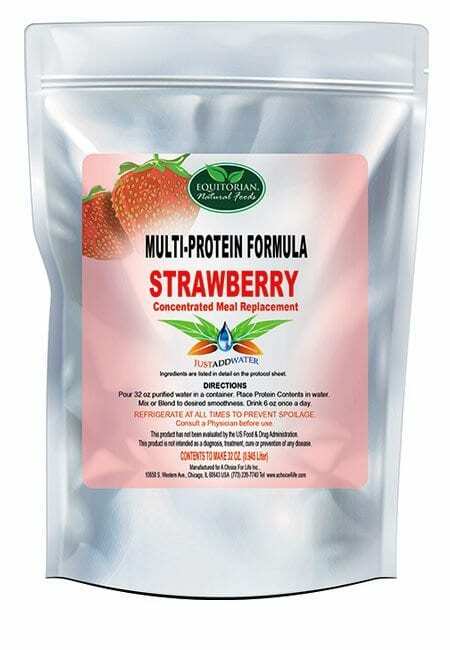 Multi-Protein Chocolate Flavor is a DRY FORMULA COMBINATION CONSISTING OF IS MADE PRINCIPALLY WITH 90% PROTEIN ISOLATES AND CAN BE MIXED WITH JUICE OR WATER AND FRUIT. 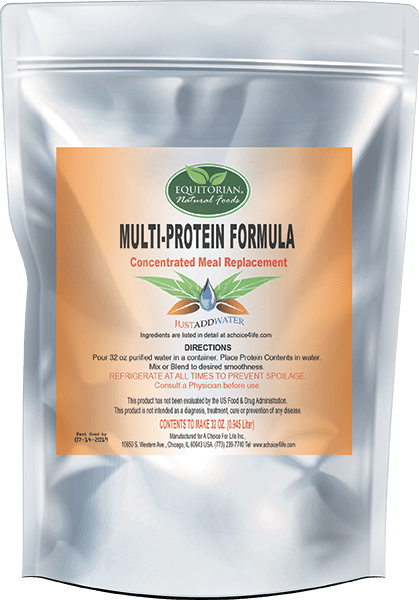 IT IS A CONCENTRATED BREAKFAST REPLACEMENT SUPPLEMENT THAT PROVIDES 28g OF PROTEIN IN EACH 6 OZ SERVING. THE PROTEIN CAN BE MADE IN A BLENDER OR BY STIRRING VIGOROUSLY. IT IS BEST REFRIGERATED AND SERVED COLD. MAKES 32 OZ OF PROTEIN LIQUID DRINK. 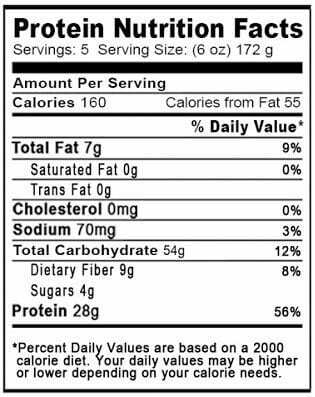 SERVING SUGGESTING: DRINK 6 OZ ONCE A DAY AT BREAKFAST TIME. 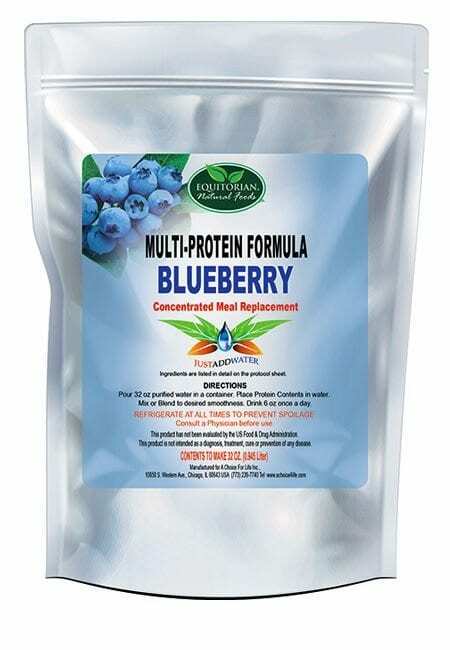 Ingredients: Rice Protein, Soy Protein, Pea Protein, Lecithin Granules, Spirulina, Organic Sugar, Oat Bran and Natural Flavors. Adult Males should consume at least 56g of Protein per day and Adult Females should consume at least 46g of Protein per day. 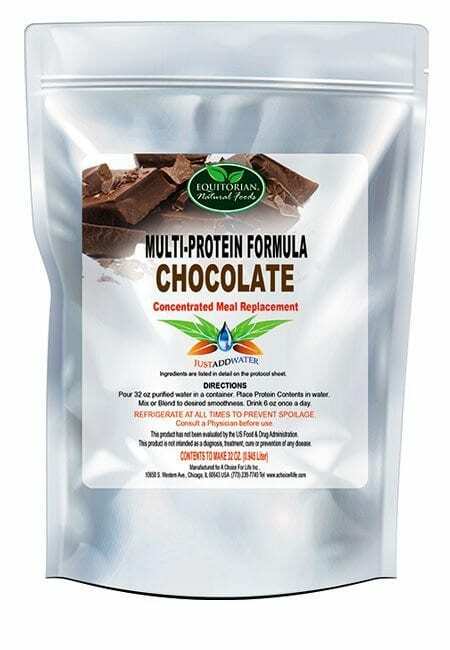 Multi-Protein Chocolate Flavor can be used regularly along with regular exercise. Additional Proteins such as certain nuts, seeds and other powdered proteins may be added to this regimen. Before taking Multi-Protein Chocolate Flavor in tandem with any medication prescribed by a medical doctor for health complications, check for contraindications. Results vary by user. NO GENETICALLY MODIFIED ORGANISMS, ARTIFICIAL SWEETENERS OR FILLERS ARE USED IN OUR PRODUCTS.